I was in Oshamanbe on Sunday in very mild spring (!) weather. 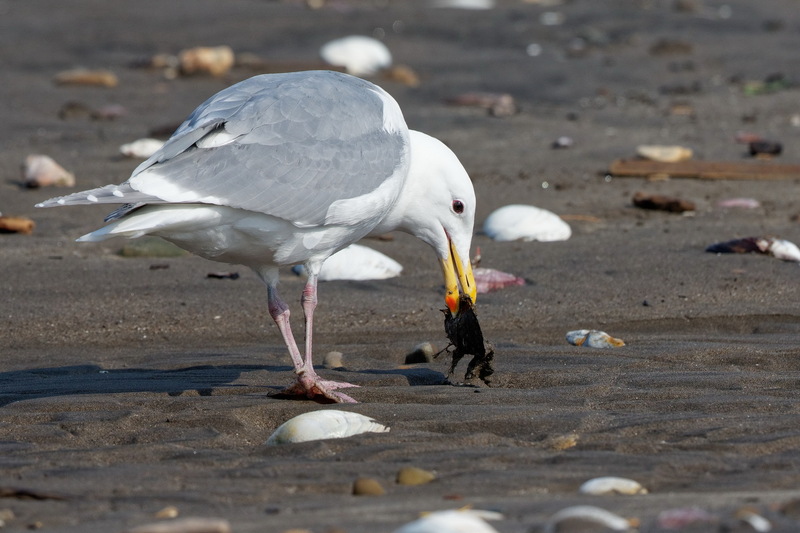 We were looking for Long-tailed Ducks or the 2 Scoter species but they were well offshore. 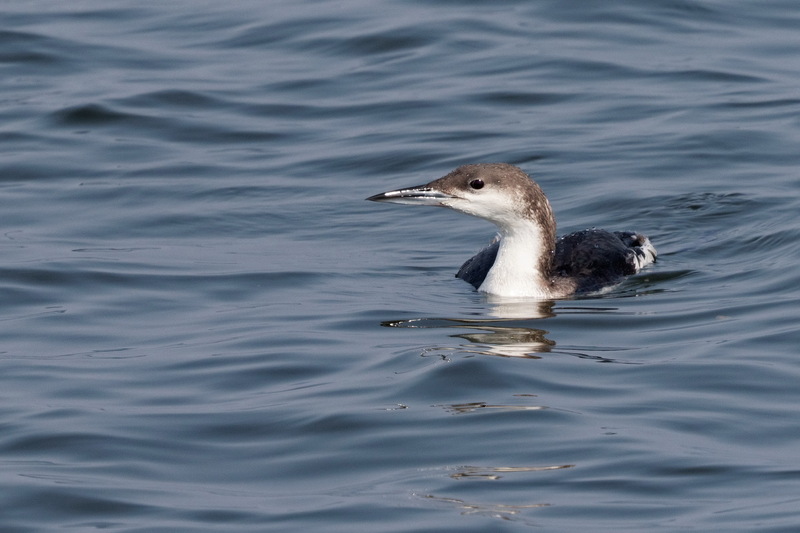 The above Black-throated Diver came a bit closer. 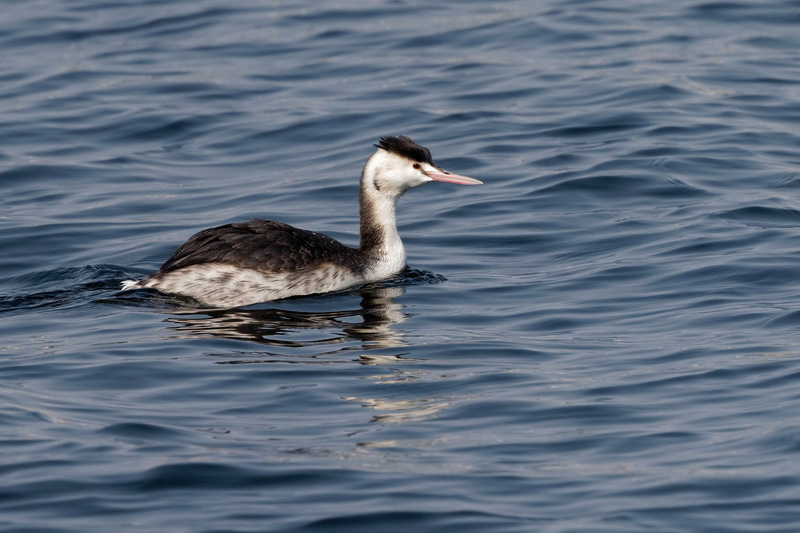 There were also several Black-necked Grebes and this lone Great-crested Grebe. 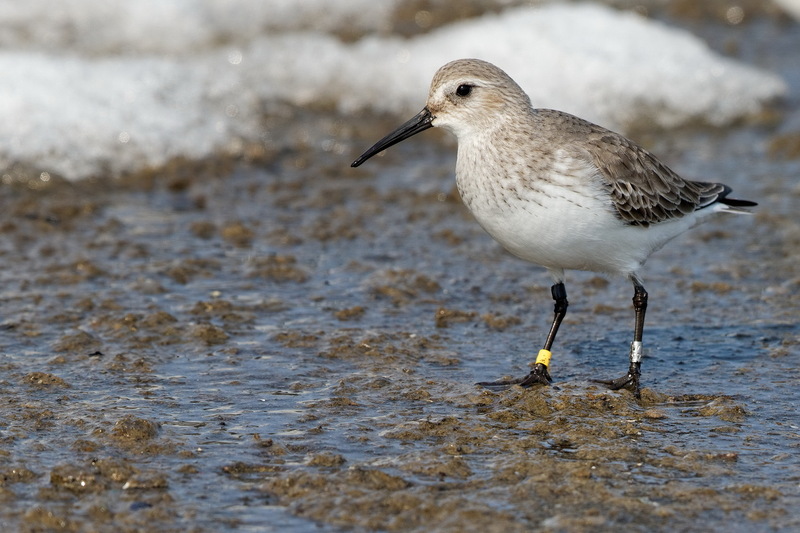 The above individual was tagged in Kamchatka, Siberia and has been returning to Oshamanbe every winter for the last 5 or 6 years. 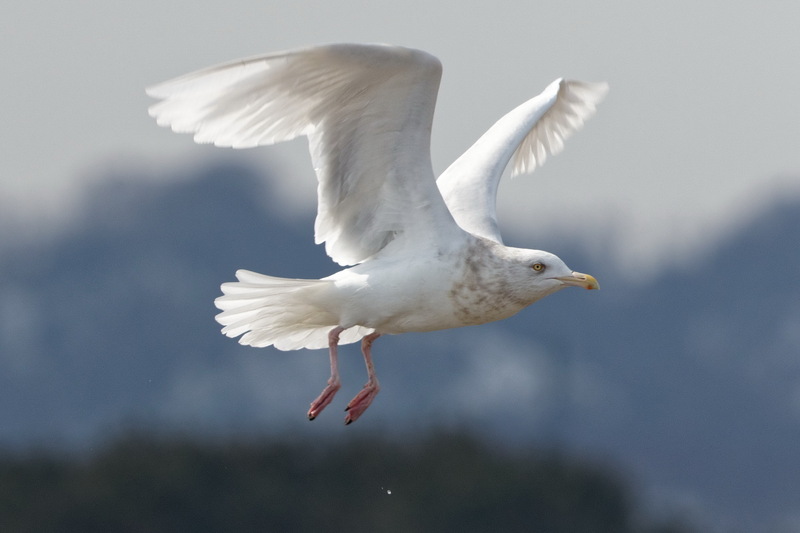 The flock stays until early May and this is s species that looks far better in breeding plumage. 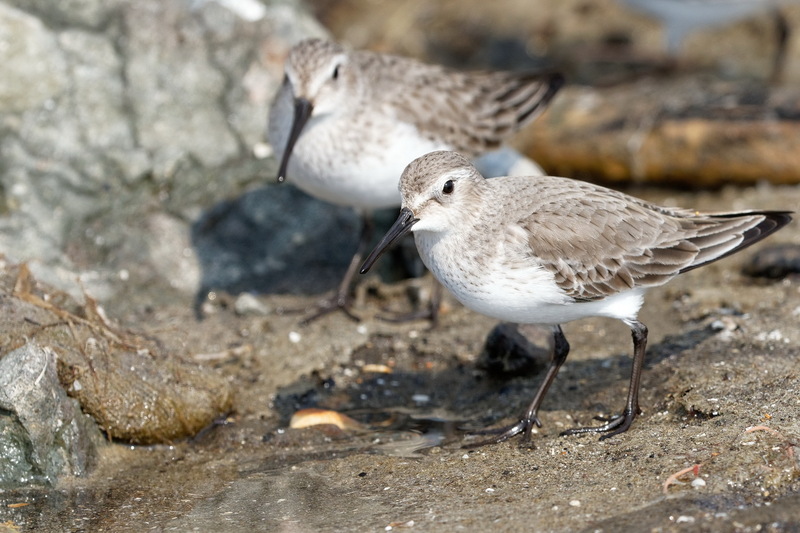 The Dunlin flock moved along the coast to one of the beaches. 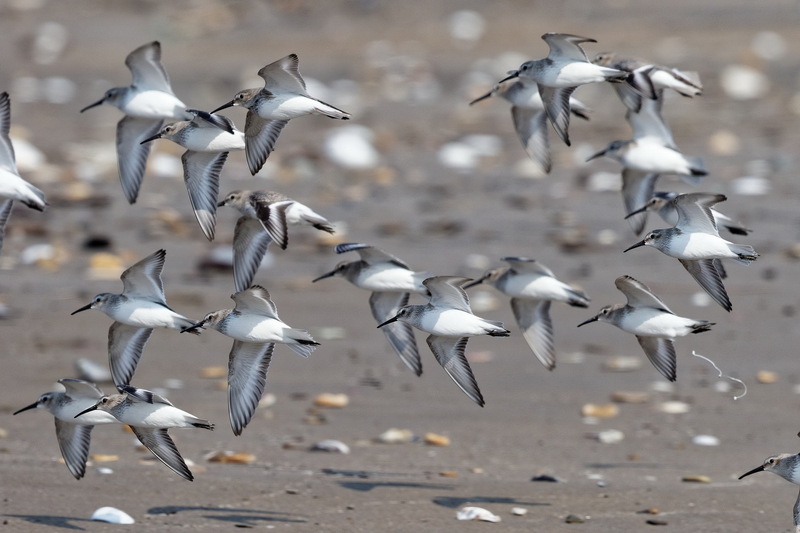 I often check this beach in May and again in August/September for waders so it was odd to be there with lots of snow still on the ground. 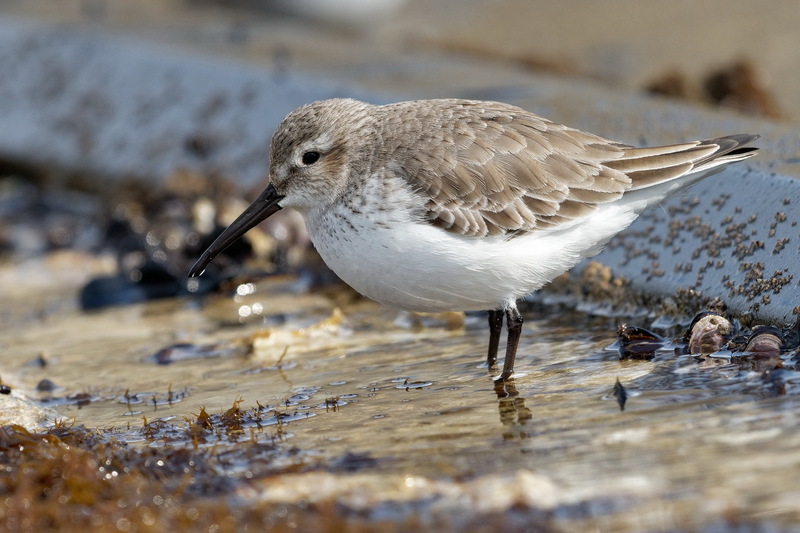 This species is the only sandpiper around in winter (although Rock Sandpiper do occur in northeast Hokkaido). 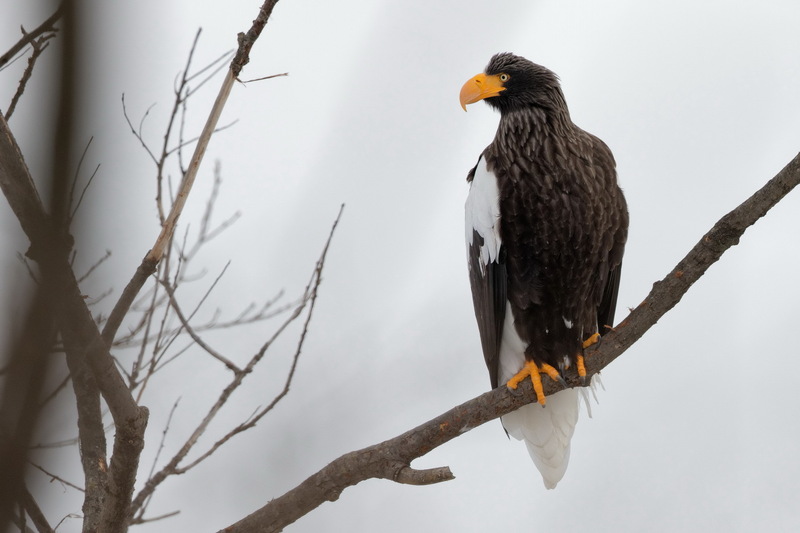 Several weeks ago we were up at Oshamanbe and there was a lone Steller’s Sea Eagle next to the road. 2 weeks later the same bird was in the same tree. 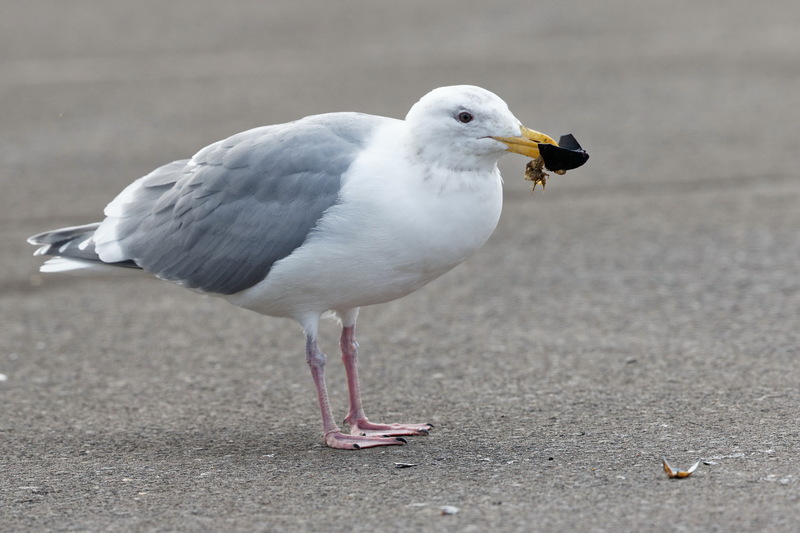 Surely it will be leaving soon…………. 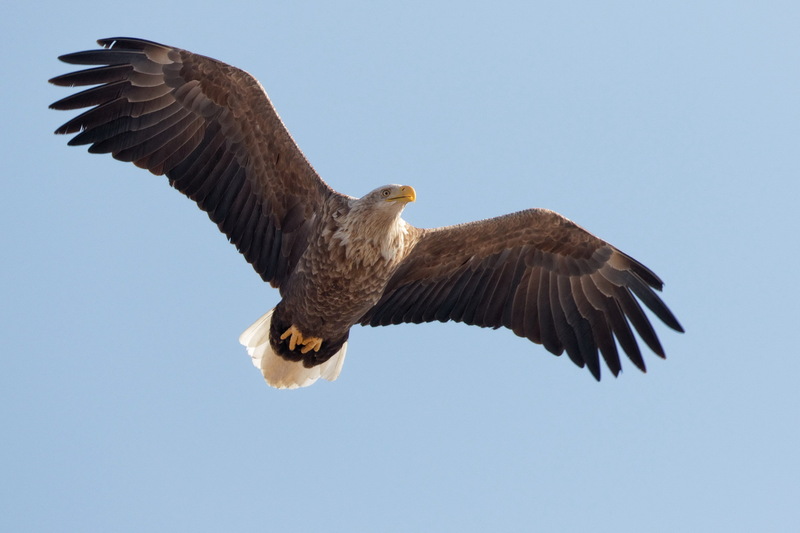 The eagles have dispersed and only a handful remain at Yakumo. 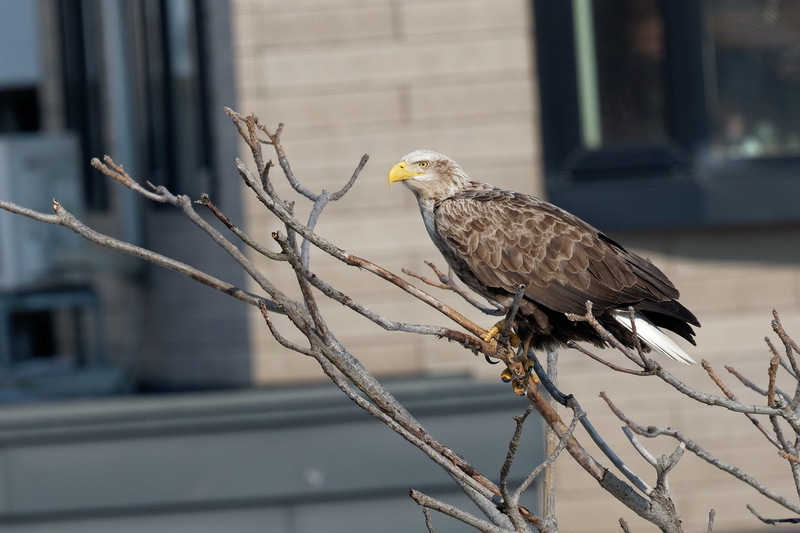 This White-tailed eagle was perched right outside someone’s bedroom window near Oshamanbe…………. 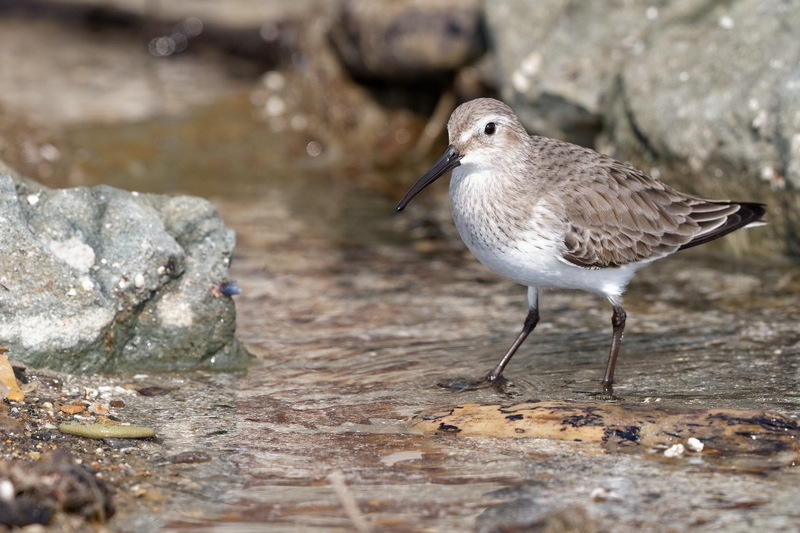 In a quiet corner of the port……..
A Dunlin in Oshamanbe today, one of a flock of 30-40 or so that quietly pokes around the corner of one of the ports there. Another species conspicious by its absence this winter: a Common Redpoll. This one was at Oshamanbe 2 or 3 years ago. We see these most winters, sometimes in big influxes, but not so far this winter. 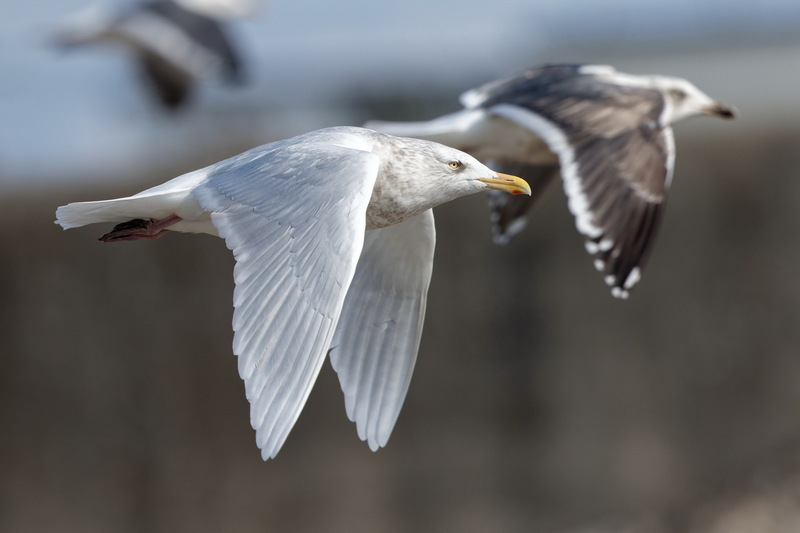 Where are all the small birds?